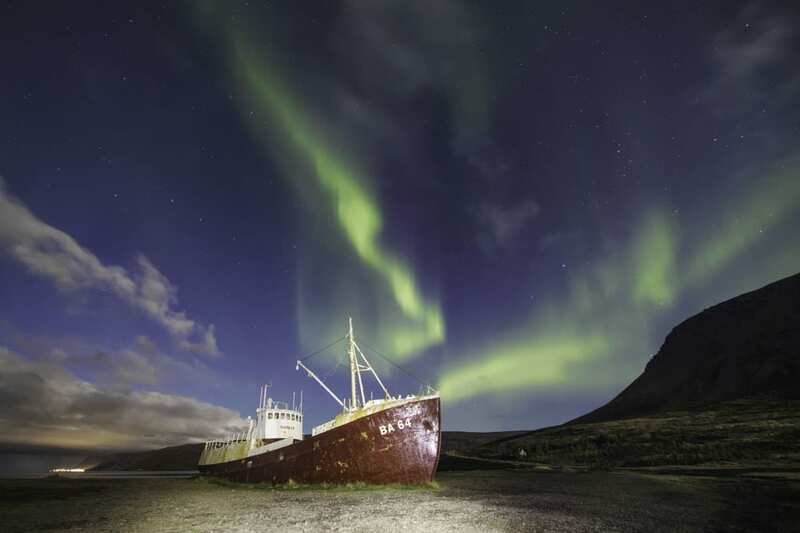 The Lonely Planet guide put Westfjords on its list of the top 10 regions of the world to visit and the area won a European Destination of Excellence award, and if that doesn’t get you interested then what comes next should. 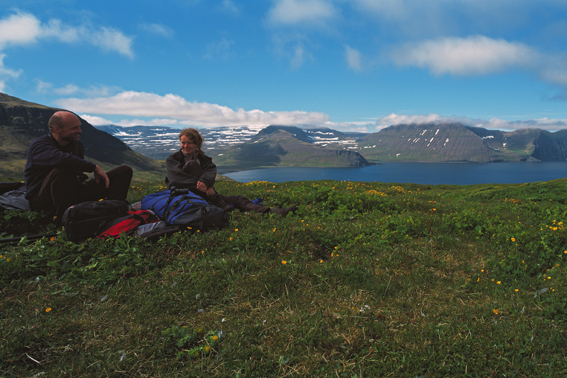 When is the best time to visit the Westfjords? 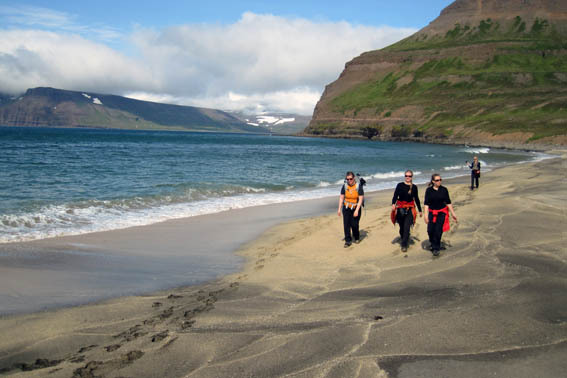 The Westfjords are the oldest part of Iceland, but they are believed to have formed in multiple eruptions starting around 16 million years ago. The mountains and fjords have then been carved by ice ages and glacier resulting in their unique and sharp edges and form. 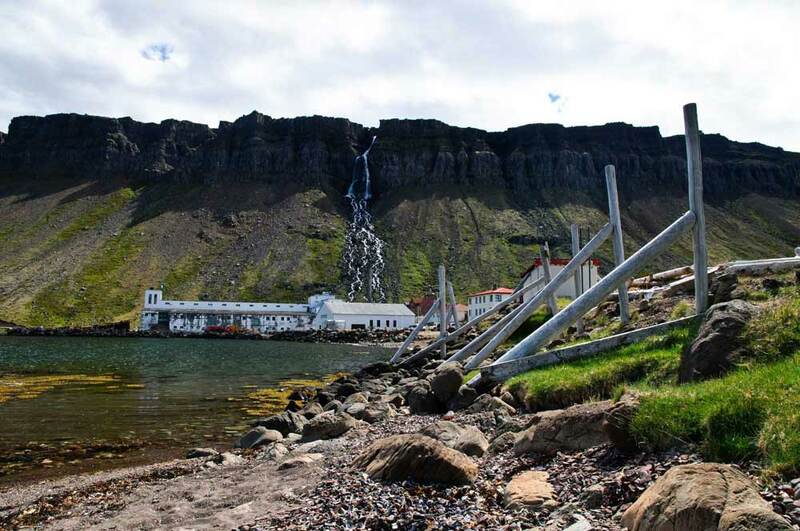 The Westfjords are also home to the oldest berg in the whole of Iceland, a mountain cliff called Göltur located on the outskirts of the fjord Súgandafjörður giving the settlement of Suðureyri a dazzling vista. 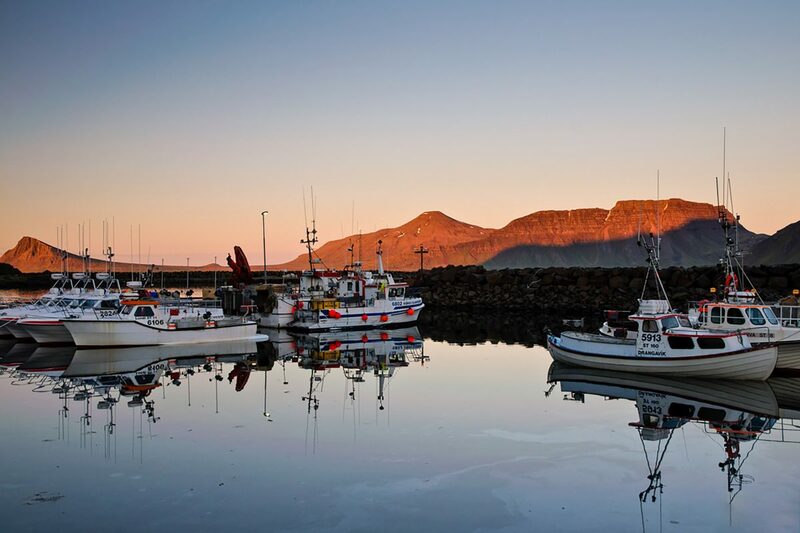 The Westfjords are known for being home to some of the most colorful wildlife in Iceland including the Arctic Fox, White-Tailed Eagles, Whales, and seals. In late summer the hills get purple with berries that anyone who visits is welcome to feast on. Down the hills run stunning waterfalls, so many that you lose count and amazing caves have been carved into many of the mountain hills. 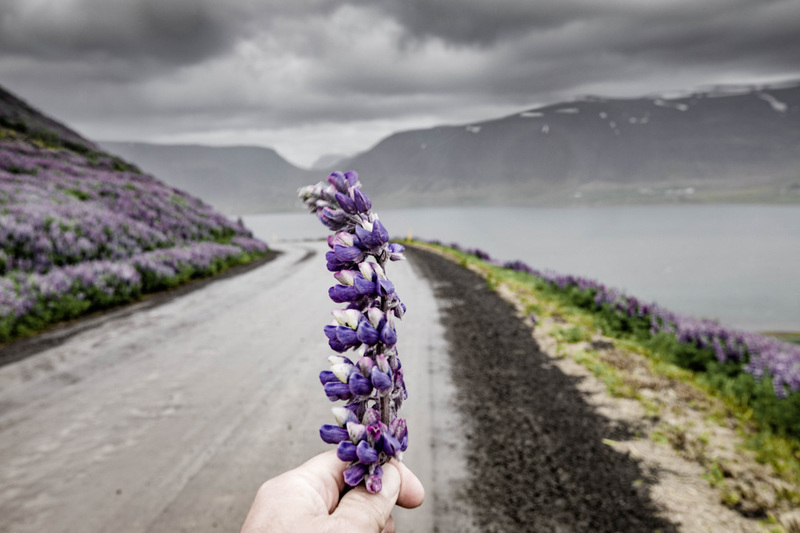 Birch is growing wild around the lower parts of the region along with other green flora, but the Westfjords are especially known for their wide range of flowers and ferns. 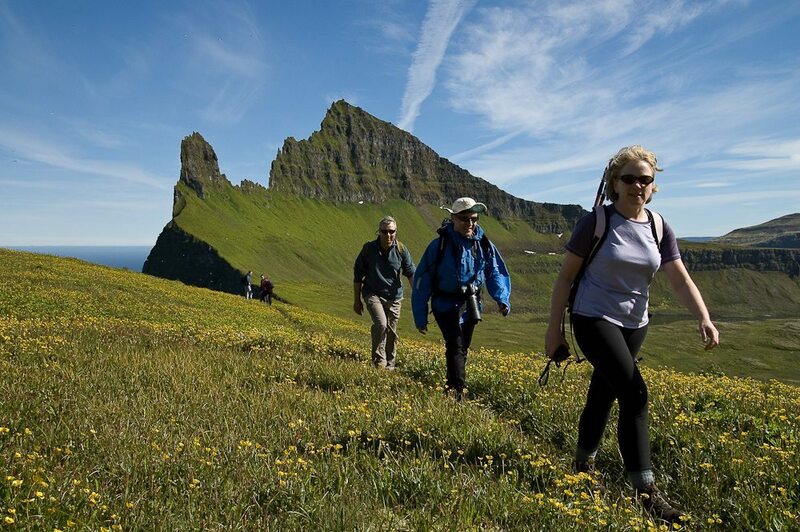 The Westfjords are home to some of Iceland’s best hiking trails, some of Iceland’s most stunning kayaking fjords and the most magical hot pools. They are a true paradise with endless sources of beautiful villages and nature. 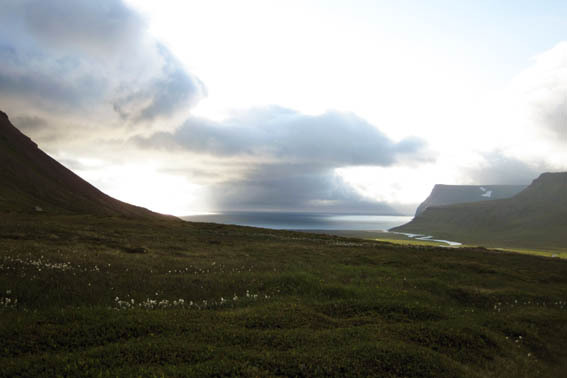 The Westfjords are often nicknamed the Bestfjords and anyone who visits will soon see why! 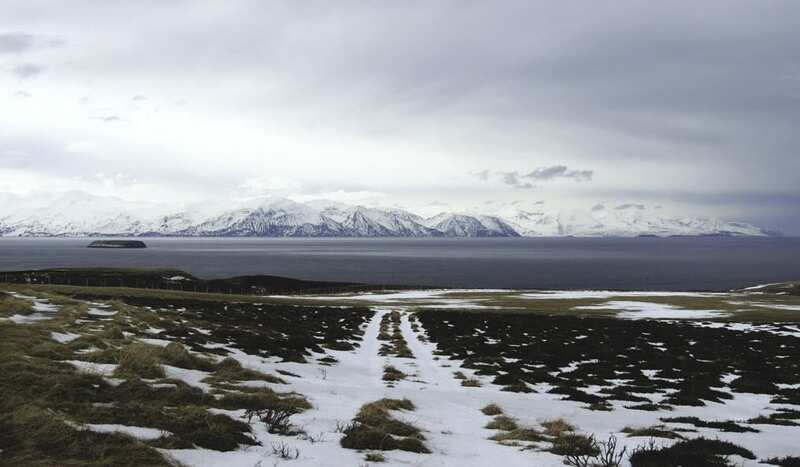 The Westfjords are beautiful all year round, stunning even but if you are not used to driving in snow you shouldn’t attempt to do so in Winter. The flights can also be pretty shaky and cancellations are quite frequent in winter but you join a tour, with an expert guide that drives you there it is truly heaven. 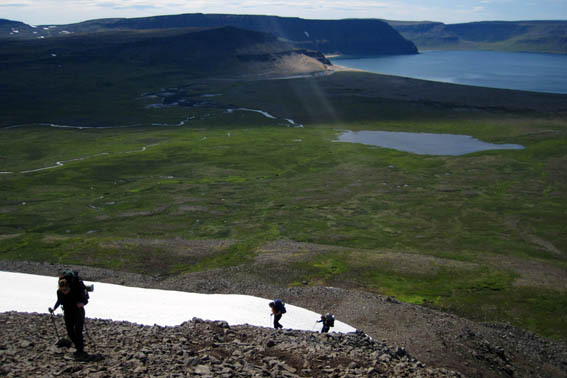 The Westfjords are known for great skiing slopes and cross-country skiing is very popular! In Summertime the roads are all clear and getting around is easy. 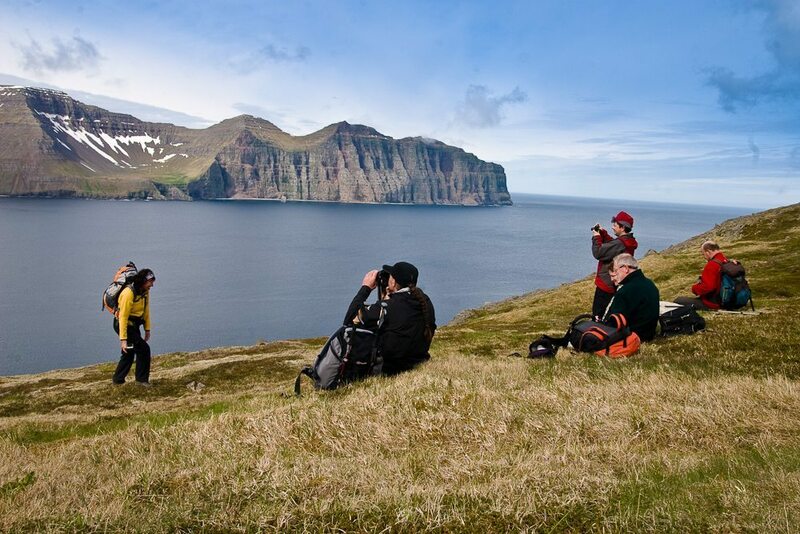 The Westfjords are a true paradise for travelers who are looking to hike, swim, ski, or camp and many festivals take place in the Fjords over Summertime with an additional Easter celebration in Ísafjörður. Hamingjudagar e. Happiness Days at Strandabyggð; Hólmavík and surrounding areas. Ísafjörður is the biggest town in the Westfjords and very likely the only settlement that would count as a town. The habitats are around 3000 and here you will find all the essential services in one place, including a supermarket (Bonus), car hire, scheduled flights, a hospital, bars, restaurants, a swimming pool, a library, museums and a fantastic bakery you simply must visit (Gamla Bakaríið). 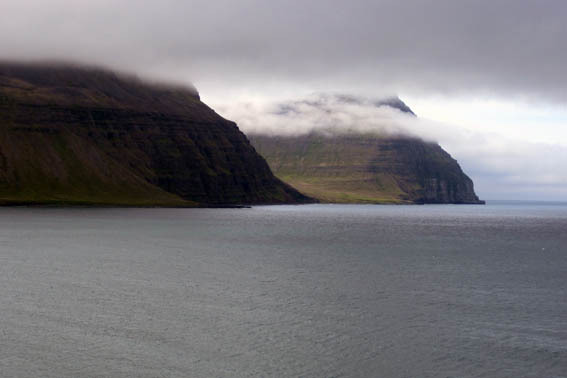 Ísafjörður is located in the bottom of the Skutulsfjörður fjord, precisely at 66°04′N 23°07′W. The drive there takes about 5 hours and 41 minutes from Reykajvík as the distance is approx. 454 kilometers (282 mi). 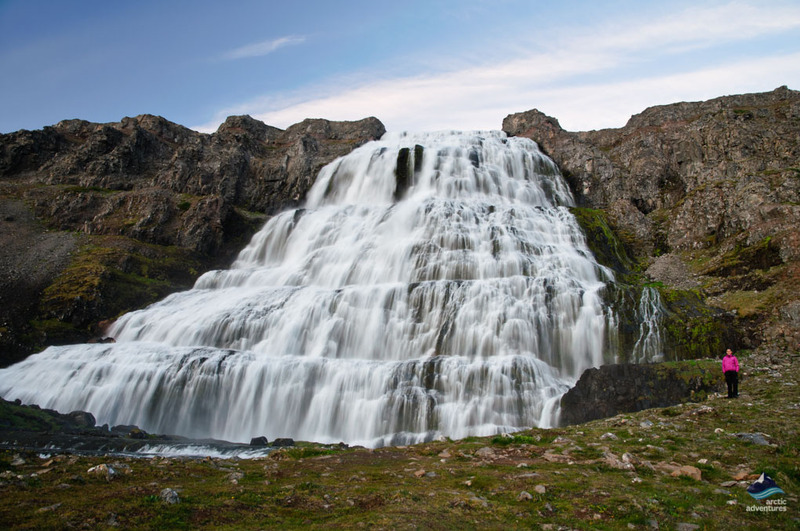 Dynjandi waterfall, sometimes known as Fjallfoss or mountain waterfall is a true token of the Westfjords. 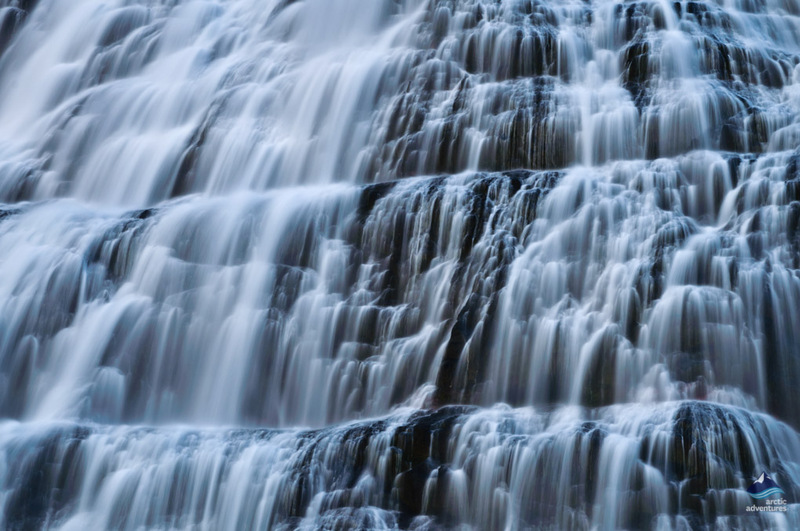 The waterfalls have a cumulative height of 100 meters (330 ft) and run down mountain steps creating a mesmerizing sight! It is the biggest waterfall in the Westfjords and has been a protected natural monument since 1981. Dynjandi has for long been known as one of the most beautiful sites in Iceland and locals get sentimental when they speak of it. Below Dynjandi you will find Strompgljúfrafoss waterfall and together they make a fantastic water-pair. The amazing Dynjandi, the jewel of the Westfjords, is exceptionally wide ranging from 30 meters (98 ft) at the top to 60 meters (196.85 ft) at the bottom. Hot to get to Dynjandi: There is a bit of a hike to reach Dynjandi, about 15 minutes or so but during the hike, you will be greeted by other smaller waterfalls such as Strompgljúfrafoss, Hæstahjallafoss, Göngumannafoss, Hrísvaðsfoss, Kvíslarfoss, Hundafoss and Bæjarfoss. In 1996 volunteers made stoney path to get to the waterfall but still, it is a bit of a climb getting all the way to the top of the waterfall, not suitable for those with bad knees but it is not considered not challenging at all. Látrabjarg is the westernmost part of Iceland and has often been thought to be the westernmost part of Europe. 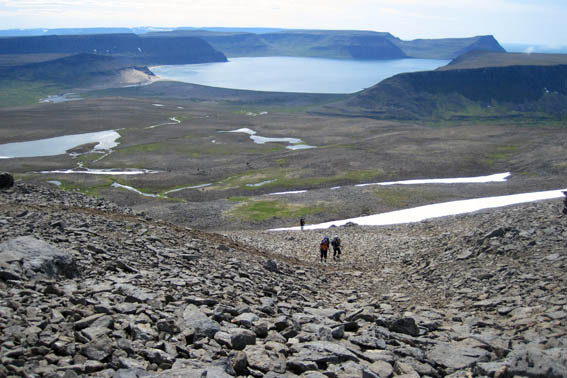 It was built up by the Westfjords lava rock formations that formed in volcanic eruptions that occurred about 12 to 14 million years ago. In between the lava, layers lay ancient soil layers that have sculpted in with wind and time and together they create beautiful sills for birds to lay eggs on. Látrabjarg is about 14 km in length and lays from Bjargtangar in the West to Keflavík in the East. 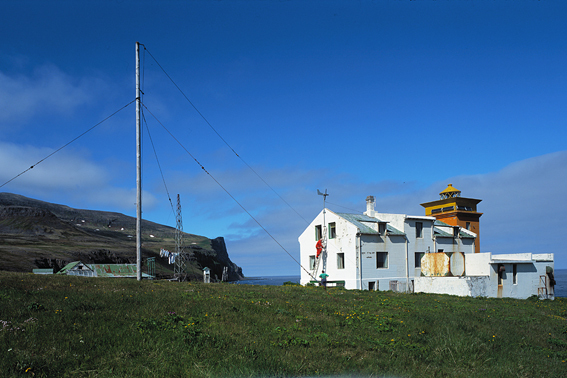 The highest point is about 440 meters (1443 ft) and is called Heiðnakinn but the most common height is about 300 meters (984 ft). 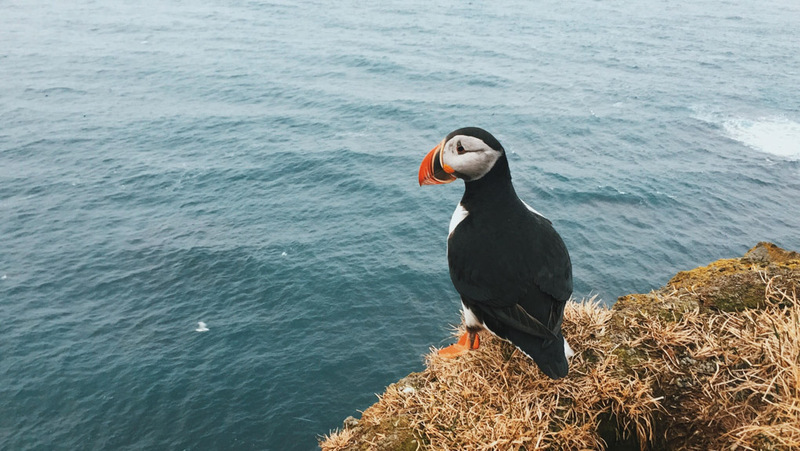 Millions of seabirds lay eggs and live in the cliffs over the summertime and it is believed to be the largest bird cliff in the whole of Europe, some even say in the world. 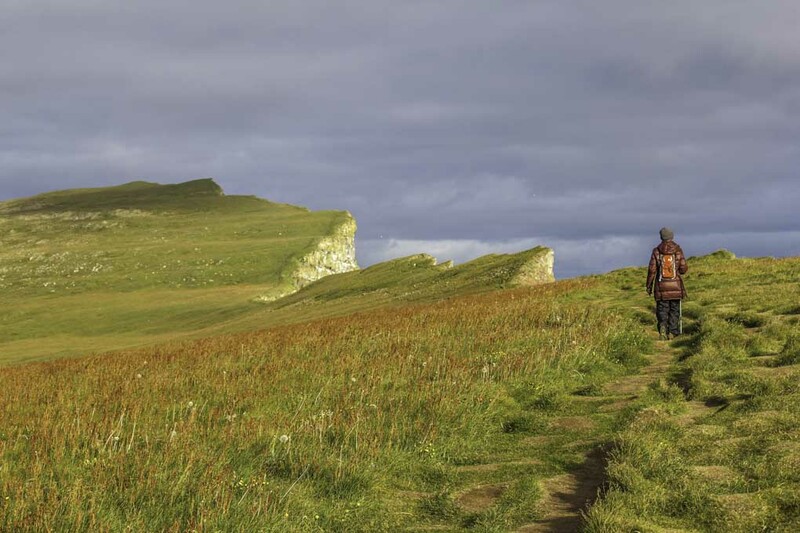 From the westernmost part of the cliffs, the Bjargtangar area is about 6 kilometers (3.7 mi) long trail along the cliff’s edge where most of the birds are found. The view from this area is otherworldly! 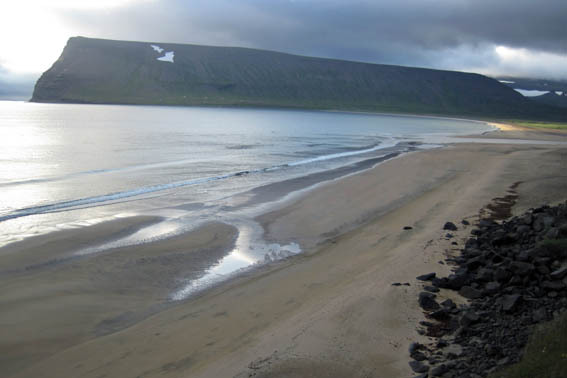 Rauðisandur or the Red Sand Beach is known of the best-known locations in the otherwise hidden lost fjords. 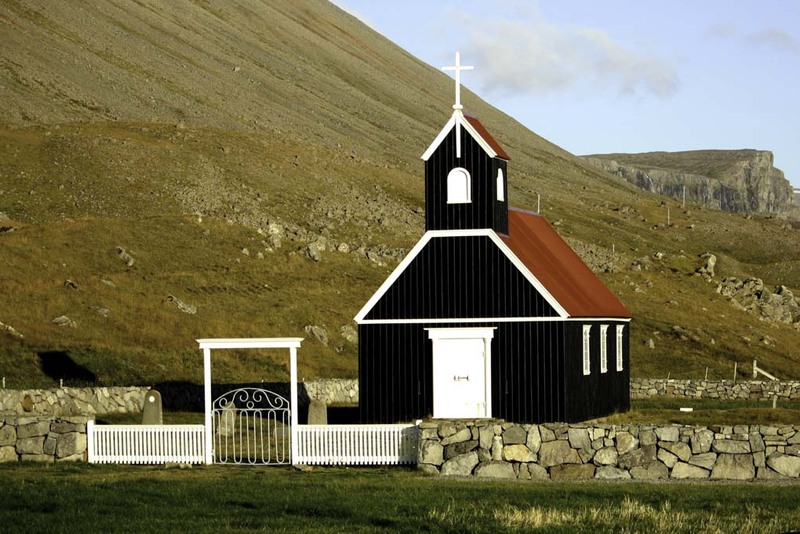 It is located in the Southern part of the Westfjords, East of Látrabjarg. The red color of the sand has a simple explanation but it comes from the shell of the scallops (Chlamys islandica). This scallop is found all over Iceland but is the most common around Breiðafjörður fjord, where Rauðisandur is located. The scallops live first and foremost in hard pebbles or coarse shellfish bottoms where it buries itself into the ground. Where the conditions are good over 100 scallops can live on one sq meters. When they die the waves break the shells and the broken shells flush ashore. The sandy beach is therefore somewhat of a shell sand beach. The color and surrounding area add to the uniqueness of this place and visiting leaves even the toughest in awe. There is a hidden magical aura at Rauðisandur and one simply must visit to know feeling! Hornstrandir is a known Arctic Fox territory and is home to some of the most photogenic hiking trails in Iceland. The area has been uninhabited since the 50’s and even then was extremely isolated. Still, the area attracts many visitors some who are just stopping by for half-a-day but others who are there to do some serious hiking. Hornvík and the bird cliffs surrounding the bay, some parts of the cliffs reach up to 500 meters high and the birds lay eggs all over the cliffs creating a staggering sight. The Arctic Foxes: the Hornstrandir area is a true haven for our furry friends who freely roam the area and are often not to shy to say hi! 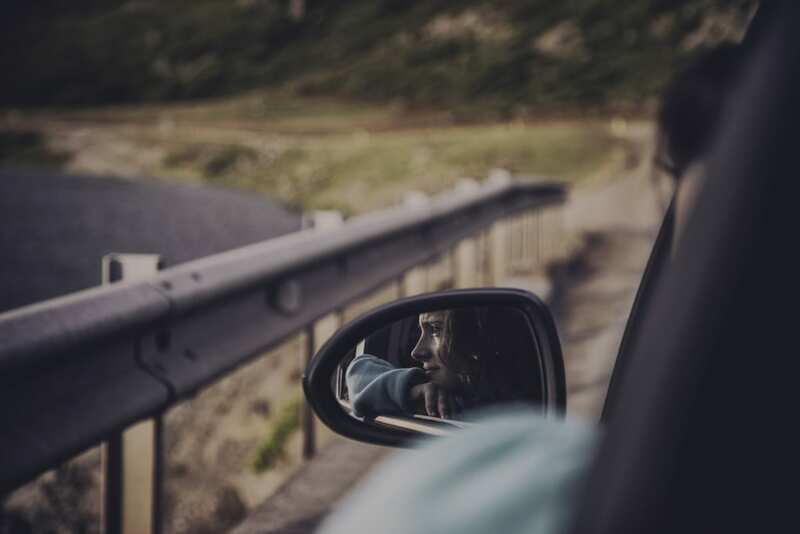 The remoteness: there is no infrastructure what so ever and the few tourists that visit get the feeling of being completely alone with nature. You can even hike in the area days on end without seeing a single person. Location: Melrakkasetur, Eyrardalsbæ, 420 Súðavík. 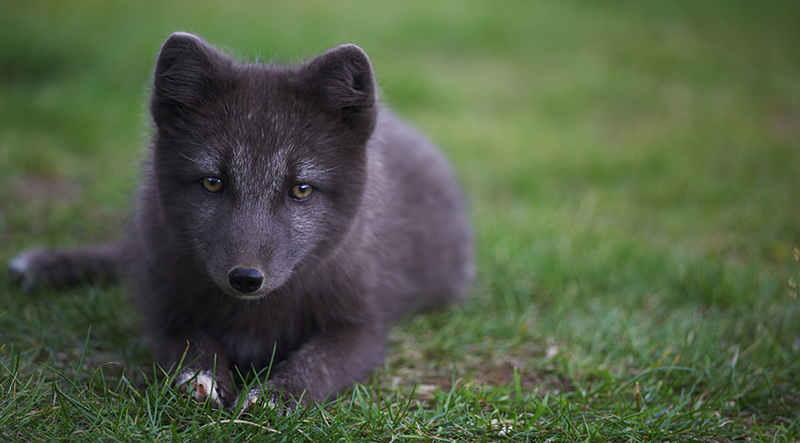 The ultimate cuteness is found and the non-profit reach and exhibition center, The Arctic Fox Centre. The Arctic Fox is the only native terrestrial mammal to Iceland and therefore holds a strong bond with the locals. The Centre was founded by 42 locals in the year 2007 and has since then served to collect all knowledge and material relevant to the Arctic Fox in the past and present. 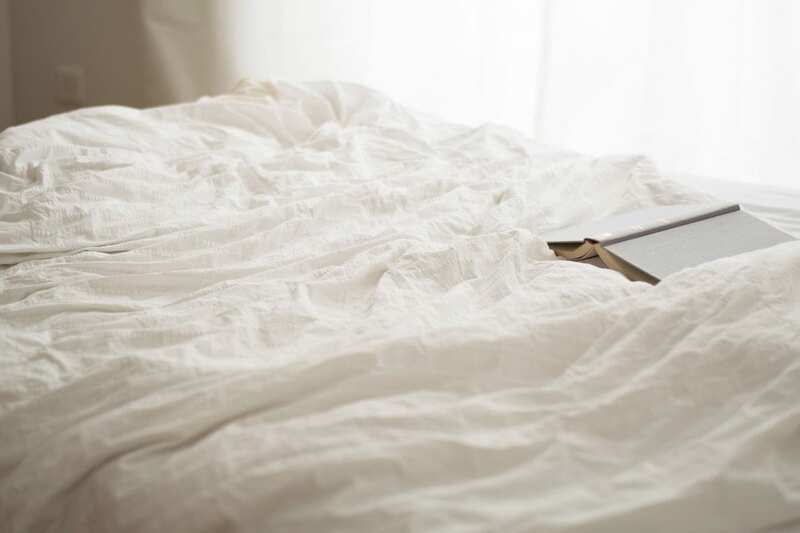 This is being done to learn as much as possible about the foxes as a species and to stabilize the war that has been going since early settlement. The more we know about them the better, maybe then we can all live in harmony. When visiting you will not only get to pet the cuties and be up close the personal with them but also get educational facts from the caretakers. Hárkarlavogur e. The Shark Bay Pool, need to ask permission from the farmers at Gjögri as the bathing spring is located on their land. Located in Djúpavík. Gvendarlaug the heart shaped hot spring in the Bjarnarfjörður. Hellulaug another pool on the beach located in Vatnsfjörður. Reykjafjarðarlaug the hot spring next to the cement pool located in Reykjafjörður. Heydalur natural hot pool is sometimes referred to as Galtahryggjarlaug and happens to be situated only a few minutes from Hotel Heydalur. Krossneslaug a geothermal pool at Krossnes, Strandir in the Westfjords. Somewhat of an infinity pool with impeccable ocean views. The pool at Reykjanes is a delightful place to have a geothermal bathing experience in Iceland, with good changing rooms and a very small café. 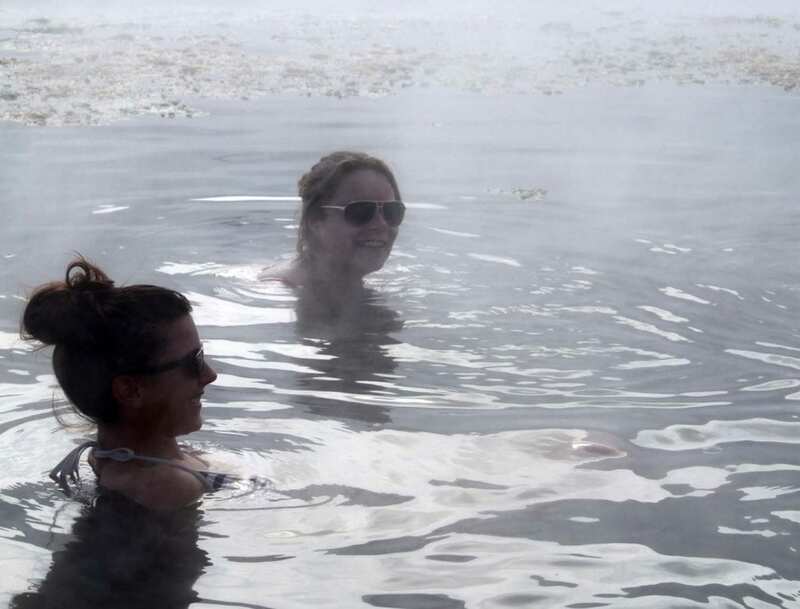 Reykjafjarðarlaug is a combo of hot springs and a more conservative pool facility. Located like many of the other in a serene fjord with incredible marine views. Hörgshlíð the small charming rustic green hut serves as a changing room and the bright teal pool is there to warm up your body. You need to ask permission from the farmers before bathing. The Hot Tubs at Drangsnes are located at the Eastern part of the Westfjords Peninsula near Hólmavík fishing village. This Foodie Guide to the Westfjords will be done clockwise starting from the Southern Westfjords, West, North then East. 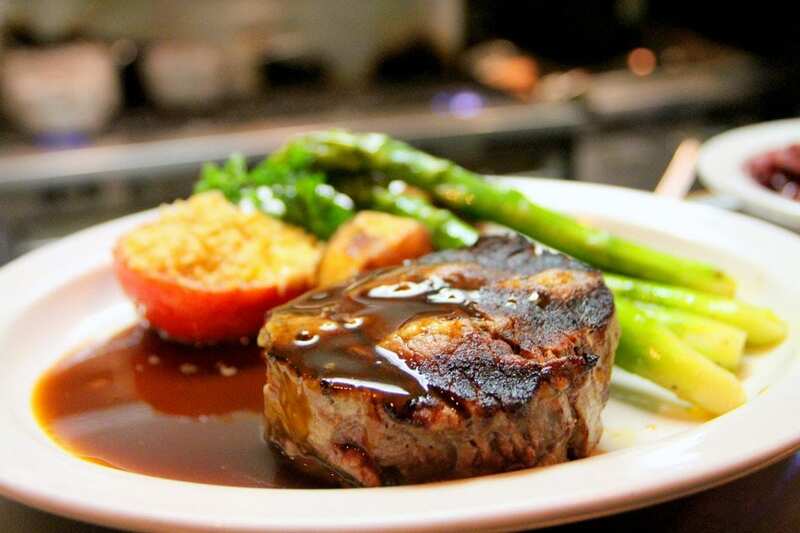 Here are the best restaurants and cafes in the Westfjords. 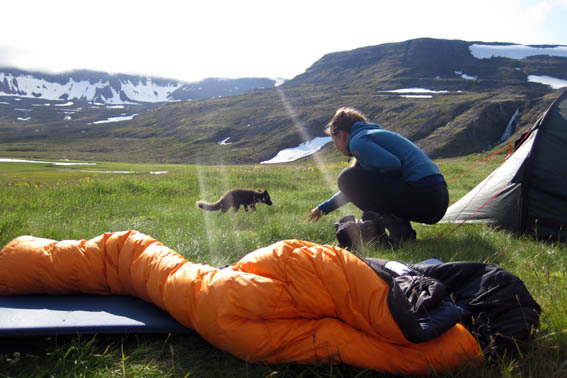 There are plenty of camping grounds to stay at in the Westfjords. Many of them with splendid views and often located in these serene plains adding even more tranquility to the experience of visiting the West fjords. 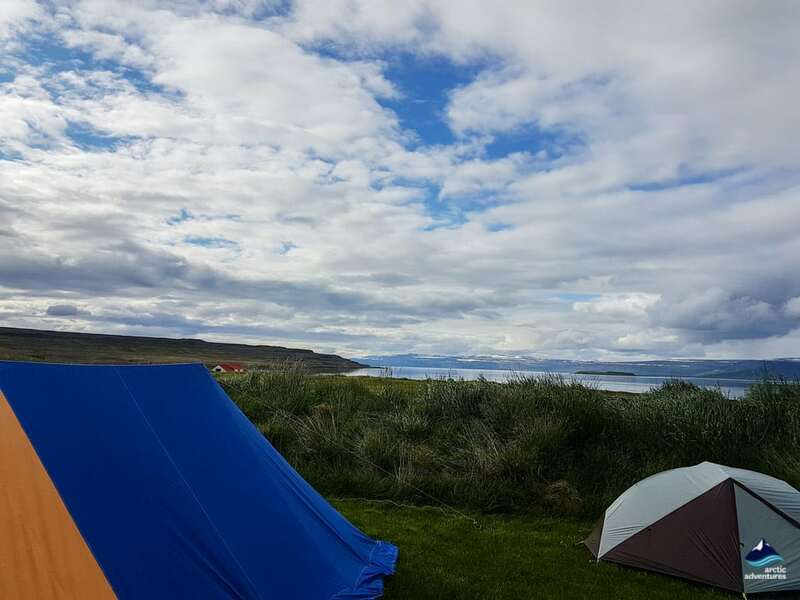 Here are the camping grounds in the Westfjords listed clockwise. 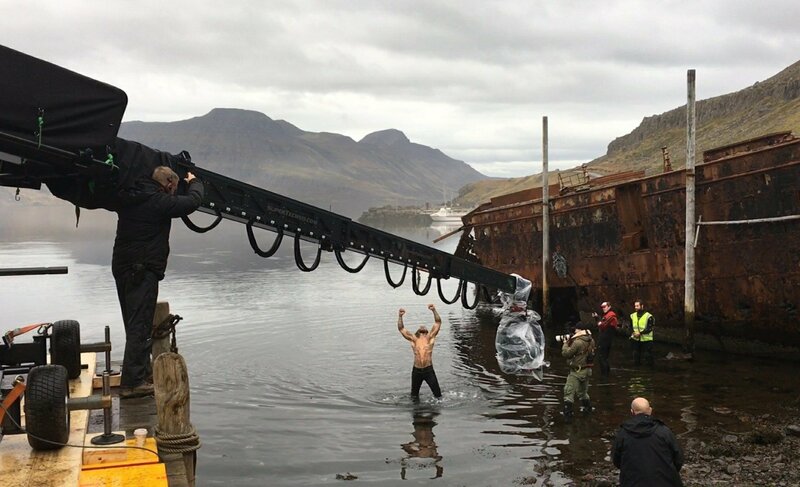 Justice League (2017) this great Blockbuster choose Westfjords’ Strandir to film some of their most memorable scenes including the one where Batman (Ben Affleck) hikes to find Aquaman (Jason Momoa) and persuade him to join the fight against the threat that is facing the world. Batman is seen standing at the top of the Djúpavíkurfoss waterfall, looking down at Djúpavík village and it’s old herring factory.